The departments of transportation of five states – Arkansas, Florida, Georgia, Kentucky and Tennessee – won awards today in a national competition that recognizes excellence in transportation projects that improve travel safety, reduce roadway congestion and provide more travel options to consumers. The American Association of State Highway and Transportation Officials presented the awards today at the Southern Association of State Highway and Transportation Officials (SASHTO) conference in White Sulphur Springs, West Virginia. 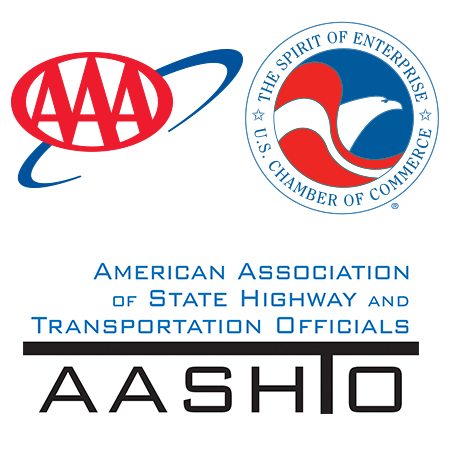 Now in its ninth year, the America’s Transportation Awards competition is sponsored by the American Association of State Highway and Transportation Officials, the AAA motor club and the U.S. Chamber of Commerce. It recognizes the best transportation projects in three categories and sizes: Quality of Life/Community Development, Best Use of Innovation and Under Budget. The projects are grouped into three sizes: small for projects costing less than $25 million, medium for those between $26 million and $199 million, and large for those costing $200 million or more. Transportation projects that state DOTs completed in 2015 were eligible to compete, and the nominations were judged by officials representing diverse industries within the transportation sector. Nationwide, a total of 40 state DOTs participated in this year’s competition, submitting a record-high 84 award nominations. Eight state DOTs in the SASHTO region, nominated 16 transportation projects for consideration in the national competition. In the Quality of Life/Community Development category, the Kentucky Transportation Cabinet won the large-project group with a new bridge over the Ohio River that increased traffic flow and improved access between Louisville and southern Indiana. The Florida DOT earned the other two awards in this category for multimodal projects that improved safety and the movement of freight and pedestrians. Florida’s medium-group award was for a new bridge on Eller Drive over railroad tracks at Port Everglades in Broward County, and its small-group award was for pedestrian access improvements along the US 92 commercial corridor in Daytona Beach. In the Best Use of Innovation category, the Georgia DOT won in the small-project group for reconstruction of its Broad Avenue Memorial Bridge in Albany. The Tennessee DOT won with a medium-sized project called “Fast Fix 8” that replaced eight bridges on Interstate 40 in downtown Nashville on an accelerated basis. The work was completed seven months ahead of schedule. In the Under Budget category, the Georgia DOT won with a small project to rebuild a bridge on Brown Avenue in Columbus. The Arkansas State Highway and Transportation Department received the medium-project award for a five-mile widening of Highway 167 that ran through Ivan in Dallas County and extended into adjacent Cleveland County. The regional projects receiving the highest overall scores will compete for a National Grand Prize to be determined by a panel of transportation experts, and a People’s Choice Award will be decided by online public votes. The top projects will be announced and voting for the People’s Choice Award will begin Sept. 7. Online voting will conclude on Oct. 31. AASHTO will announce the winners of both national awards on November 14 during its annual meeting in Boston. Each national award winner also will receive a $10,000 cash prize for donation to a charity or scholarship program.